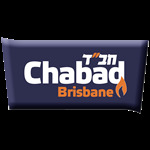 The Lending Library at Chabad Brisbane was named the Yehoshua Avraham and Miriam Blumberg Lending Library in loving memory of Adolph and Miriam Blumberg. They were an eternal blessing and a guiding light to all who knew them. The library which includes some 500 volumes on all aspects of Judaism as well as novels of interest for the Jewish reader and an extensive children's and youth section. The library allows the opportunity for those who wish to read extensively, whether for learning or pleasure, of obtaining materials that are suitable for a Jewish home, creating a stable and secure environment for bringing young people into the world. You can help increase this facility by dedicating a book for a Simcha or indeed a loved one on a special anniversary. Books can be dedicated from $50. Please contact us if you would like to participate with the expansion of our library. The facility is there for you to make use of... please do.